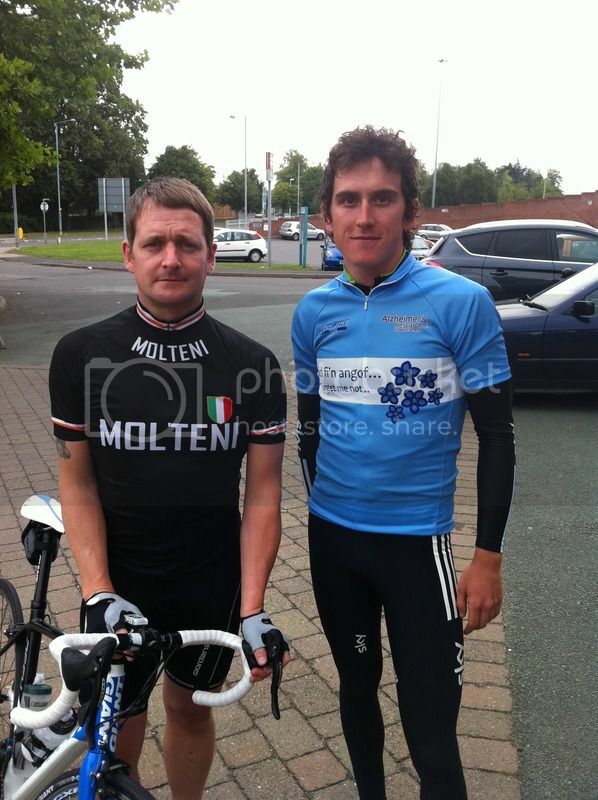 Well done to G on being the first British born cyclist to win the lap of France , well done indeed. . Does he suffer fae asthma tho'? Wow , great post CB , thanks for sharing. . I don't think Geraint is elitist like some of them . It reminds me of the time l caught Graeme Obree on his bike . Turned out he had just been for his weekly shopping and was heavily laden. We had a wee chat nevertheless. . Indeed , Obree was basically sacked by his team because of a refusal to take drugs . Sad that that more or less ended his career back then . Obree came to my house on one occasion to enter a race l was organising . This was years after his medals and World Record rides . Again we had a chat but l remembered thinking that a guy like him shouldn't have been riding against people like me and a whole bunch of other amatuers . .
Nowadays , he will turn up for the occasional Club run ! The good thing about that is he doesn't try to drop us and is very happy to have a chat and realises his record attempts are now behind him . . Presumably you wur in the car?